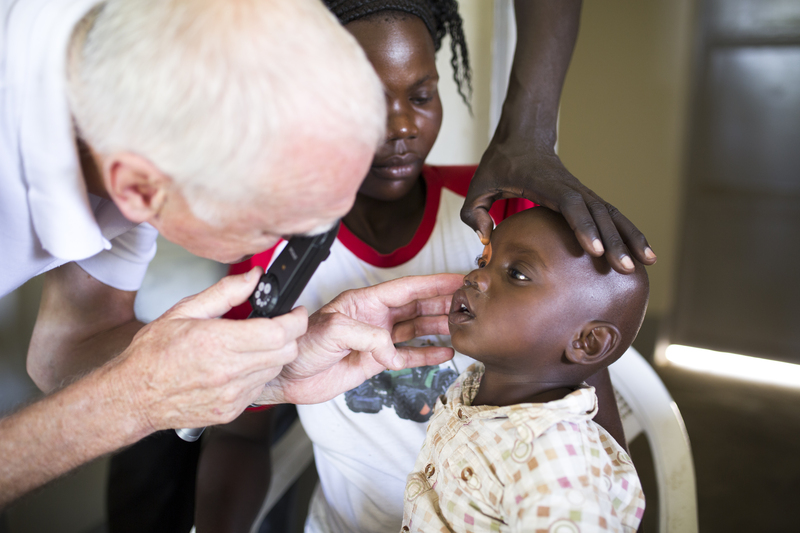 Ted has recently returned from leading an optometry team to Tororo District in Uganda. The project is part of an ongoing charity project from Vale for Africa, a Vale of Glamorgan based charity which works exclusively in Tororo District. It provides piped water to schools, a small public library, motorcycle ambulances, support for a Ugandan student to attend Atlantic College in the Vale of Glamorgan and exchange of medical staff between Uganda and the Heath Hospital, as well as the optometry project. The team this year was comprised of Ted, Marc Drake, an optometrist from Penarth, and Zarna Dasani, an optometrist from Leicester who trained in Cardiff. 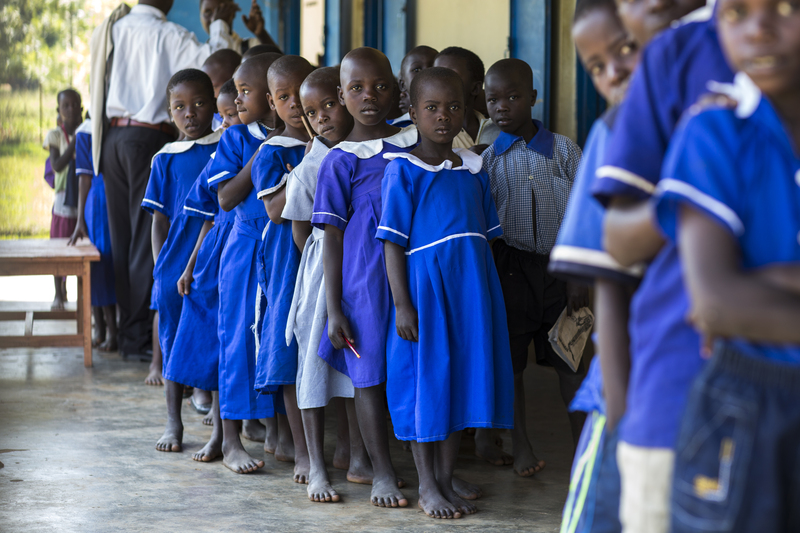 While there the three taught in the two hospitals in Tororo (Ted teaching above) and also examined eyes in a primary school, a secondary school and then a rural clinic. In all they saw 583 patients and found 98 needed surgery and 114 needed glasses. 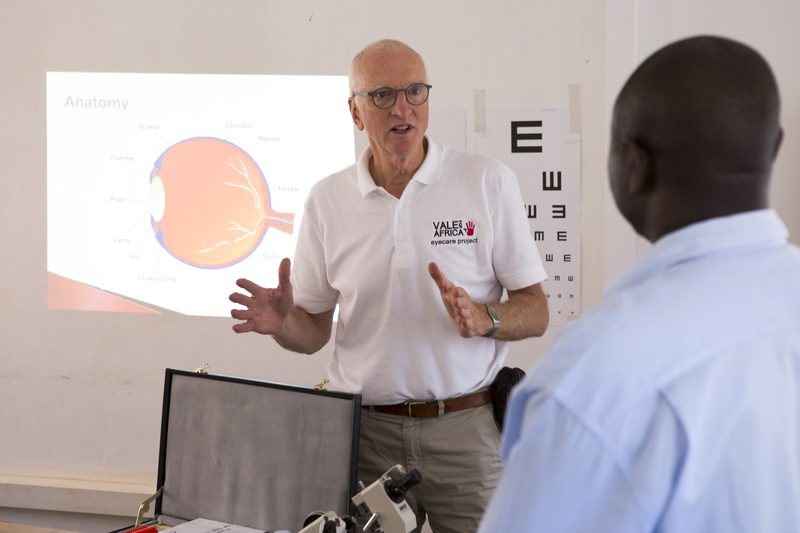 The surgery and the glasses were all provided in Tororo by the local hospitals but paid for by the charity and the funds raised by the three optometrists. They were also able to leave about £3000 worth of ophthalmic equipment for use in the hospitals. It is hoped to establish this as an annual event with heavy emphasis on training local people so that a legacy of knowledge is left as well as arranging for the cataract and other surgery to be carried out. Arbuthnot Opticians is proud to support Vale for Africa as its chosen charity. If you would also like to support it please go to www.valeforafrica.com and press ‘donate’.